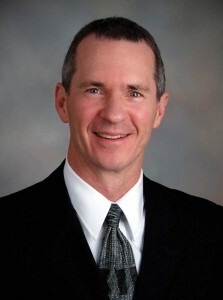 Jeff Askew, D.C, is a hospital-based chiropractor employed with Sanford Health in Bismarck, N.D. He earned his Doctor of Chiropractic degree from Palmer College of Chiropractic in Davenport, Iowa, in 1980 and treated patients in private practice for 30 years. In 2010, he fulfilled a long-term goal when he was hired as the first chiropractor at legacy Medcenter One, a regional medical center which merged with Sanford Health in 2012. Prior to achieving his chiropractic degree, he earned a Bachelor of Science degree in zoology from North Dakota State University, Fargo. His continuing education includes completion of the chiropractic orthopedics curriculum through National College of Chiropractic in St. Louis, Mo., and advanced certification in competency in whiplash injuries and brain traumatology from the Spine Research Institute of San Diego, Calif. He has served on the board of the Council on Chiropractic Guidelines and Practice Parameters from 2005 through 2008. He is a past president of the North Dakota Chiropractic Association, serving from 2006 through 2008, and was later a registered legislative lobbyist for that association. Askew does consulting and peer review work for numerous organizations including Workforce Safety and Insurance of North Dakota and Blue Cross Blue Shield of North Dakota. He serves on the Blue Cross of North Dakota Chiropractic Claims Review Advisory Council, which helps guide the development of chiropractic policies. Askew resides in Bismarck with his wife and son, and they also have a daughter attending college. His hobbies include water skiing, fitness, bicycling, running, triathlons and music.